After Samsung’s Galaxy S5 and HTC’s Google Play versions of the One M8 and the One M7 have seen repeated news surface about their Android Lollipop updates, this time its the LG G3 which has been tipped for Google’s latest update. And its happening soon. After all, the LG G3 is the first non-Nexus device to receive the Android Lollipop update, as users in Poland received the update for their devices a short while back. 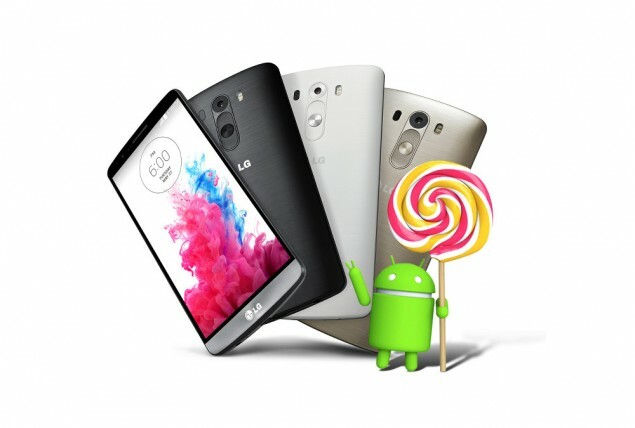 LG G3 Users In Korea To Receive Android Lollipop Update By The End Of This Week. LG users in Korea are going to be the lucky ones in Android Lollipop territory today. The device is said to receive the update by the end of this week. The update will be hitting all Korean carriers at the same time. This information comes directly from the Korean manufacturer itself. Posted on LG’s Korean blog, the update about Android Lollipop on the LG G3 in Korea will be on a much larger scale than the company’s initial Poland update roll out. And if the Korean update goes smoothly and without any major issues, then we can expect other countries to receive theirs sooner than later. So fingers crossed for folks over at LG and those in Korea. After all, Android Lollipop is Google’s biggest software update in recent times and comes with several very impressive improvements on board. The leader of the pack in this regard is Google’s Material Design, which gives the operating system a whole new theme which includes improved padding, shadows, depth, card based notifications and more. Apart from these, Android Lollipop also comes with several privacy, performance, security and power management improvements on board as well. All of these combined make Google’s software update a must have for any Android user.